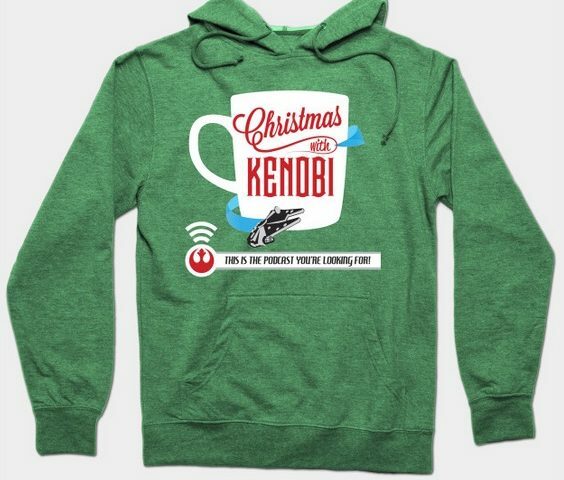 Looking for gifts for the Coffee With Kenobi fan in your life? Getting excited for Rogue One and need new Star Wars apparel? You’re in luck because CWK’s TeePublic store is on sale! T-shirts, hoodies, kids tees — even mugs, laptop and phone cases, and notebooks! All you need to do is visit our TeePublic store here and enter the discount code 25OFF when you’re ready to check out! The sale is on now through December 3, so don’t delay! Don’t forget to shop our TeePublic store here!